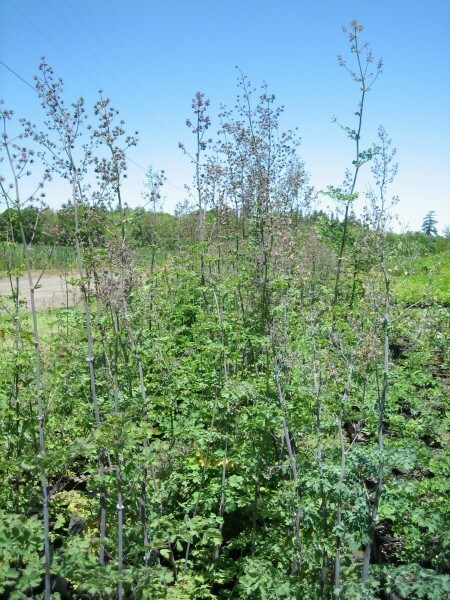 Habit: upright, dioecious (male and female flowers on different plants) perennial. 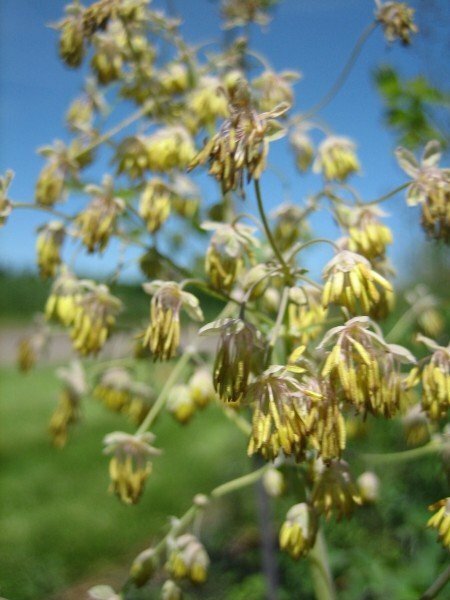 Thalictrum polycarpum is a beautiful plant with bluish-green ternately (divided into threes) compound leaves, reminiscent of it’s close relative Columbine. The leaves have a distinct pleasant smell when crushed. Male flowers are pendulant having many large tassel-like stamen dangling below green sepals. 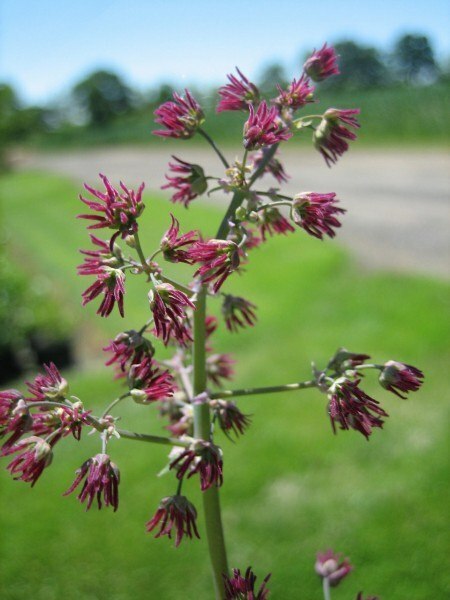 Female flowers are in dense, terminal, clusters in a panicle inflorescence, the most visible part being the pistils that are reddish to light purple, appearing brush like. Leaves turn yellow in autumn. 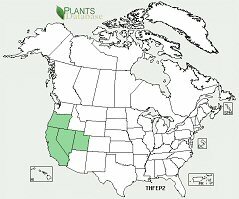 Ecology: found in mixed evergreen forests, oak woodlands, and along streams in shaded moist forests, in California, Oregon, Nevada and Utah at higher elevations of up to 10,000 ft (3048 m). Growing Conditions: full to partial shade in moist soil, tolerates seasonal flooding. Fairly drought resistant once established. Similar to Thalictrum occidentale, but more robust, occasionally growing beyond 6 ft (2 m) tall.